Fostex TH600 - Nice Cans! I received my first shipment of Fostex TH600's this week after selling out of TH900's and being unable to get more for a while because of a shortage of lacquered wood earcups. If there is a difference between the two cans, it's awfully subtle. The TH600's are world-class. I spent some time comparing the Audeze LCD-2, Beyerdynamic T1, and the TH600. I'm about equally enamored of the T1 and TH600, with the LCD-2 falling behind because of its imaging characteristics. The TH600 has the warmth and dynamism that some people feel the T1 lacks (the T1's are my go-to cans because they have no real flaws, and I listen to lots of different kinds of music at each sitting). The TH600 kick the tar out of older classical recordings, giving you a you-are-there feeling. Honestly, it seems like Fostex has slotted the TH600 lower in price owing to cosmetics more than anything else. I've been using my dealer demo unit of the Fostex HP-A8C amp/DAC for a couple of months, trying it out on different cans. While I have some issues with the ergonomics -- the selectors are too small, too slippery, and too close together for my big hands -- this is, hands-down, the finest piece of audio electronics I've used since 1978, when I first got involved in audio. When you take a good digital signal from an uncompressed source and send it either to headphones through the unit's amp, or to a regular stereo system amp, the sound is better than anything I have ever heard. Using my personal favorite the Beyerdynamic Tesla T1, it is a new experience in sound. There are many new DACs I haven't heard, so I'm not saying the Fostex is better than those. The Fostex is extremely solidly built. It seems to me that implementation of modern digital electronics has come so far, it's hard to see how it could be improved. I suspect that modern products like the Fostex amp/DAC are recreating the original waveform about as perfectly as can be done. If so, it gives me confidence that when I give customers different headphones to compare, they're able to make meaningful choices independent of the digital conversion and amplification. I'm helping my good buddy the Boston cardiologist pick a closed can, and he focused on the BeyerDynamic Tesla T5p and Fostex TH-900. That forced me to spend a lot of time with both. The result? The Dr. and I go different directions, and the difference is telling. All I had to tell him was that the Fostex cans are exciting and dynamic beyond all get-out, where the T5p have the sort of neutral presentation I like. My buddy doesn't care about the holy grail of neutrality; I had him hooked at "exciting." It's hard to argue preference. The Fostex cans present a huge soundstage, effortless dynamics -- so loud and clean that you have to careful, in fact -- and highs that are as natural as any cans in my lines. Neutral? No. They are warm and deep. My buddy listens to lots of classical, and the Fostex cans give me goosebumps. It's easy to see why people love them. I'm really glad to offer a product that people respond to with smiles and visceral happiness, even if it's not what I choose for myself. On to the HiFiMan HE-6! Participants at the Austin Head-Fi meet on March 2 were enthusiastic about the new Fostex cans. While I prefer the leaner, crisper sound of the BeyerDynamics, most people seem to like that deep, REAL bass line in the Fostex combined with its effortlessly smooth high end. It's a heady brew, no doubt about it. They're easy to drive, too. The persistent complaint about the Fostex was the price point. Whether that means that people wish they had the money to spend, or won't because there's stiff competition, I can't say. My response is simply that there's no better closed can, and when you need a closed can, that's what you need! 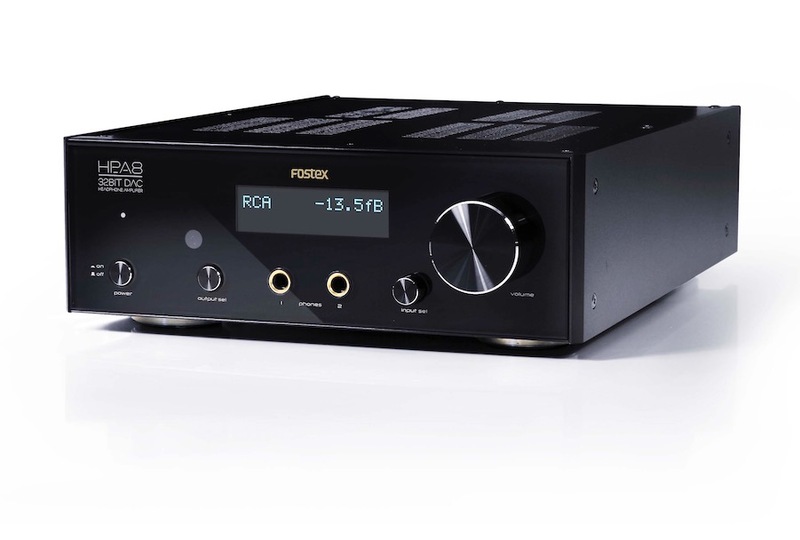 Fostex has loaned me their HP-A8C flagship 32bit DAC/Headphone Amplifier for the March 2 meet in Austin. I'll be pairing it with the Fostex TH900 cans and probably an iPad with the Apple camera kit digital out adapter, or possibly with a MacBook pro optical digital out. The DAC/amp is a beautiful bit of kit, but then, I think all such devices are enticing. 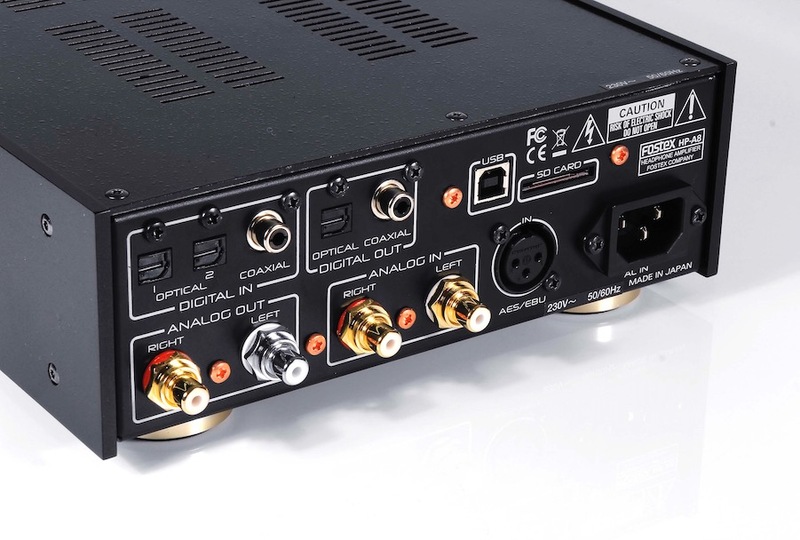 I'm not planning to stock the $2,000 DAC/amp unless it seems like there's steady demand for it. There might be, but I'd like to see how Austin responds to a headphone shop first. My Fostex rep. from American Music & Sound delivered my demo pair of Fostex TH900's, which are otherwise difficult to get hold of right now. I got to spend some time with these, and my initial impression is that while they are closed-back, they compete directly with high-end open back designs in most respects. The only difference I hear is the emphasis of 75-100hz bass as volume increases. Their imaging lies between the Audeze (not the greatest imagers, though extraordinarily beautiful to listen to) and the BeyerDynamic Tesla 1 (terrific imagers to the point of distraction), but on balance closer to the BeyerDynamic. That makes sense when the driver design is considered. Both the Fostex and the BeyerDynamics have lightweight drivers driven by huge magnetic fields, giving them good transient response. That seems to correlate with what I hear, but I'm no scientist. The Fostex have the warm-side-of-neutral characteristics of the Audeze, but unlike the Audeze they have the extended, smooth, airy highs of the BeyerDynamics. It's interesting that the BeyerDynamic Tesla 1's are not fully open-back but have zero mid-bass emphasis that I can tell. Top to bottom, they are the most balanced cans in my lines. Apparently, a little bit of leakage goes a long way to decoupling in-can resonances. On pop tracks with overemphasized bass to begin with -- Madonna's Ray of Light is an offender -- the Fostex cans boom, apparently the in-the-can issue with closed headphones and something that can't be engineered out with closed-backs. The flip-side is that at lower volumes, the bass still has impact and presence. On well-engineered recordings of all kinds, the Fostex cans have the kind of deep, robust, extended bass that I sometimes crave. If I'm listening to choral works or quartets, not so much, but with larger symphonic works, that kind of bass is great. Three things that make the Fostex cans a particularly good choice so long as you love bass are (1) they are extremely comfortable and lightweight, and (2) they don't bother the person next to you, and (3) they are super-easy to drive, even with an iPod. One thing you may be wondering is if these are like older-style, tightly-clamping closed cans. Emphatically No. They are shockingly light and apply no pressure to the head. It will be interesting to see how they compare to the new high-end Denons, since the former high-end Denons were really Fostex. I'm in final discussions with Fostex of Japan's US distributor about bringing their extraordinary headphone products to Texas, Louisiana, Arkansas, Oklahoma and New Mexico. They're as excited as I am to show the new TH-900 at the March 2 Austin meet along with its natural companion, the HP-P1 amp+DAC combo. I can't wait to get my hands on those things. Thanks so much to American Music & Sound, the US distributor of Fostex, for being as excited as I am to have a Fostex dealer in Texas for the surrounding states.